…and the Mexican ambassador, seriously. LORD MAYOR OF Dublin Christy Burke is set to meet city manager Owen Keegan and chief executive of the Labour Relations Commission Kieran Mulvey today as part of efforts to get the Garth Brooks concerts in Croke Park back on. The talks come on foot of a request from Taoioseach Enda Kenny to Mulvey to set up a meeting. Burke told RTÉ’s Morning Ireland that he has been contacted by the Mexican Ambassador to Ireland who has offered his help at a “diplomatic level”. Burke added that he has also been told by some Croke Park area residents that they are to attempt to contact US President Barack Obama to ask him to convince Brooks to play the gigs. The Lord Mayor said that no time is yet set for today’s talks, adding that “my offices are open 24/7 and I’m waiting on the call”. The developments follow the release of an email from Garth Brooks to Peter Aiken, in which the singer asks if there’s any chance the ‘powers that be’ in Ireland can work together, and that his five scheduled concerts in Croke Park can still go ahead as planned. Burke said that the “integrity of planning laws” must be protected but hinted that there may be scope to hold the five concerts without actually altering Dublin City Council’s decision to grant a licence for three concerts. He explained that this could be done, not by changing the decision, but by changing the conditions that accompany the decision and making one of the conditions that five of the concerts go ahead. Burke also raised safety concerns if only three of the concerts go ahead, saying that people who have tickets for the last two concerts could turn up in an attempt to enter creating a crowd control issue for gardaí. 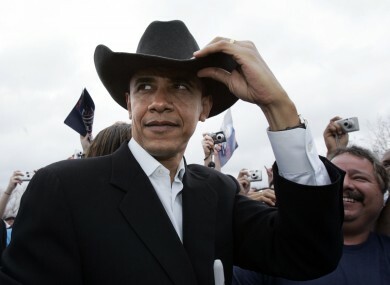 Email “There's talk of Barack Obama getting involved in the Garth Brooks debacle”. Feedback on “There's talk of Barack Obama getting involved in the Garth Brooks debacle”.